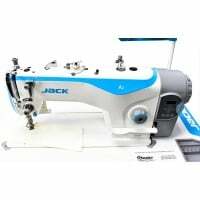 JACK E-4 5Thread Overlock (Direct Drive) Industrial Sewing Machine. Buy this machine and get 4reels/20 000 meters of bulky-woolly thread absolutely free. 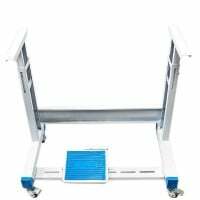 Jack sewing machine is a new leading supplier in direct drive motors. Their machine always has a unique design, and advanced futures to assist you with your sewing. All of their machines use direct drive motors, meaning the machine doesn't vibrate when you sew. It works very quietly, it saves electricity and helps the environment. The direct drive motor pushes the needle harder into the material, making it easier to sew and smother as well. 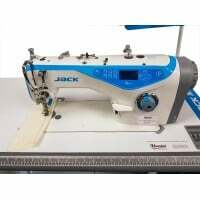 Jack industrial machine is recommended for tailoring, curtain makers, fashion designers, alterations shops, bridal shops, schools, colleges, home, & dry cleaners.